Win The Day. Enough said! Many political theorists will you tell that revolutions occur during periods of rising social expectations. Political coup d’états rarely happen in dire living circumstances. When you expect little you demand even less. However, if you feel that you are owed more than what you are currently getting or social conditions, though vastly improved, have slowed to an unacceptable pace then the affected parties tend to demand changes. If you were to wake up in Eugene, Oregon circa Fall 1972, the notion of big time college football taking place in Autzen Stadium would have been a pipe dream. As the social upheaval of the 1960’s came crashing to an end and the malaise of the early 1970’s just starting to take hold, geographically isolated Eugene, while dominant with its legendary Track and Field program, was an extremely unlikely candidate for fielding a high powered college football program. It had none of the tell tale signs and many drawbacks. In particular, what other major college team played half its home games until 1967 in a 25,000-seat stadium over a hundred miles from its campus? Certainly not USC, Oklahoma or Michigan or any of the other college football powerhouses that dominated during this era. While the Oregon Ducks football program of this era were producing All Pro NFL-quality players such as Bobby Moore and Dan Fouts, the vast majority of the football program was languishing in anonymity and irrelevance compared to its conference rival USC and the majority of the other PAC-8 and PAC-10 programs. There were minor successes during this era (the 1970 team had the Oregon program’s first winning season in six years, and was ranked as high as #16 in the Associated Press after a win over USC), however, Oregon Football was all but inconsequential except to about twenty thousand faithful on Saturday afternoons in the fall. This feeling permeated the program and even among the coaching staff the feeling existed that Oregon could not regularly compete for quality players with the likes of USC. Add to this the broken promises by the university administration to upgrade what may have been the worst facilities in the conference, and you have the surface reasons for Oregon’s past football futility. Whether it was apathy inspired by its countercultural ethic, its far Northern location, or the lack of any measurable college football tradition, the surest measurable factor was indeed the culture surrounding the football program. Essentially, Oregon Duck football was thought of by the locals as a fun thing to do with the family. It was by all intents and purposes (but mostly results) not a serious business. It had all the hallmarks of an uncommitted program; average coaches, subpar facilities and the low expectations of a generally apathetic fan base. Accepting mediocrity was taken as part and parcel of rooting for Duck football among the faithful. It was by all accounts a lesser program than its conference opponents as exemplified by its record against these programs. 19-38-2 record all-time against USC and well below .500 against UCLA, the University of Washington, ASU and Stanford. 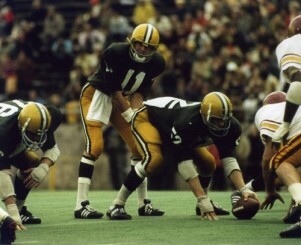 The “lesser” version had its strong points with the eventual NFL Hall of Famer Fouts being the exemplar. But the Ducks were not yet committed to leveraging their situation to their advantage or envisioning ways to alter their football psychology. They could see no alternative way of doing business. The Dan Fouts era had the Ducks running a pro-style offense but without the real ability to compete head to head in ability with its better-equipped opponents. This is akin to fighting a war with muskets when your opponent is using rifles. Not able to compete with its conference opponents on recruiting and talent level, running a similar offensive system only exacerbated the differences between Oregon and the other successful programs. If they kept trying use the same methods (playing stronger, better-equipped opponents straight up), they would have continued to get the same results and no resultant rise in the expectations for the program. What happens when you make a conscious decision to change your way of doing business and become completely committed to success? Do you lose something in the process? There are trade-offs in every freely chosen endeavor, something valuable is always lost in the process and we can only hope is that what you have become is worth the cost. The Duck football program muddled along during the twenty years from the early 70’s to the early 1990’s, with a few successes and the placing of a few select players in the NFL; 1994 is rightly seen as the line of demarcation for Duck football and this is where the culture shift for the program began. Consider that between 1960 and 1995, Oregon had only two of its 375 games televised nationally. Two games in 35 years! Demonstrating this futility were the six bowl appearances in the first 100 calendar years of Oregon football existence? Kenny Wheaton’s interception (immortalized as “the pick” in Oregon football lore) in the eighth game of the 1994 season was the turning point of the season and the program. Oregon won their final four games and secured a Rose Bowl berth. The Ducks were finally in the Rose Bowl again, or as a writer for the LA Times put it, “Every 37 years, just like clockwork.” The mockery by the national media would soon end but the misunderstandings of its reasons for success were only beginning. Despite a 38-20 loss to Penn State in the 1995 Rose Bowl, they finished 1994 with a 7-1 record in PAC-10 conference play, and a 9-4 record overall. Since then their only losing season was a 5-6 mark in 2004. We can continue to list the signs of success: only missed post-season play twice, won 10 games or more seven times and finished ranked in the AP Top 25 twelve times. They have won or shared the PAC-10 title five times and haven’t lost to Washington in seven years (average score, 43-17). 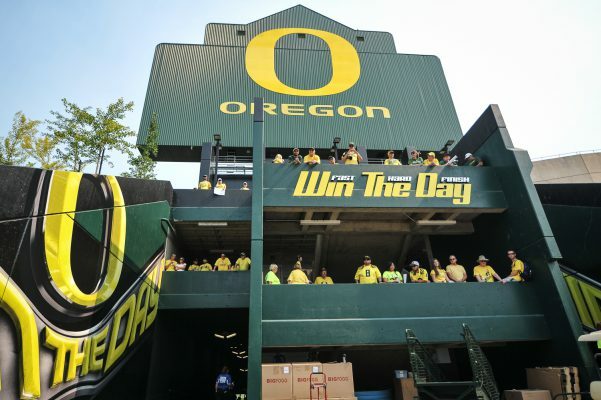 Despite the 2002 expansion to over 58,000 seats, Autzen Stadium has been sold out for every game since 2004, and by most accounts Oregon has the best facilities in the PAC-12, rivaling any in the country and trend seems to show no signs of abating. The real question is why all of this success after years of mediocrity? At first glance, there is no real reason Eugene, Oregon should be a college football Mecca. Only 5- 7% percent of the roster is usually from the state of Oregon. Thus, they have to recruit outside the region — usually Southern California and Texas — and to fill the roster with three-and-four star recruits, which usually produce an approximately 20th ranked recruiting class. They do not get the star studded recruits that other schools are able to get and the talent distribution is still not necessarily in Oregon’s favor before they step on the field. But, much of their success comes from not trying to emulate other teams’ success and they way that they do things. Instead of trying to buy in to a tradition that never existed and force fit an unnatural offensive scheme, they could not go out and recruit ‘6 4’ inch drop back passers. Beside the fact that those are few and far between, they do not accept scholarships to schools without a history of placing conventional pro-style quarterbacks in the NFL. They also could not attract 320 LB lineman born to play at USC. Oregon had to adapt and locate smaller players that could execute their system, and perfect as much as possible a zone-read option type of offense. Detractors think that Oregon wins with speed and lightning fast tempo and trickery, but it is really about the execution of fundamentals and an understanding of their own strengths and limitations. Vince Lombardi stated, “Football is blocking and tackling. Everything else is mythology”. Oregon is now a major program because they do what good teams have always done: they block and tackle well. They want to control the line of scrimmage and run the ball down your throat. They say that God is in the details. And attention to details are neglected by the even the most tradition laden programs. They tend to rest on their laurels. Oregon had the advantage of having no laurels to rest upon. Instead, they got to work. To play at the high speed Oregon has adopted requires maniacal attention to detail, and innovative practice methods. Why let the other team set its defense and why use every second of the play clock? Time of possession is irrelevant to Oregon football, and it now becomes how many plays can we run? Many of these things defy convention but fit fully into what Oregon wants and is capable of doing. Oregon football has not only become style in the sense of its brand, but it has come to represent doing things the right way and taking care of the little things. The style continues to capture only because the results are there. Oregon has a standard vision of how the contest should unfold. The mottos, “Fast, Hard, Finish”, “Win The Day”, “Faceless opponent” and “Every week is the Super Bowl,” are not just clever phrases, but a reflection of the way the football program philosophy really is and has to be. Many would assume that Oregon is merely a marketing wonder, and that plays a large part in their success. But it is a mistake to attribute the lions’ share of their success to the multiple Nike uniforms and to the guerrilla marketing of the program or to the financial largess of Phil Knight. 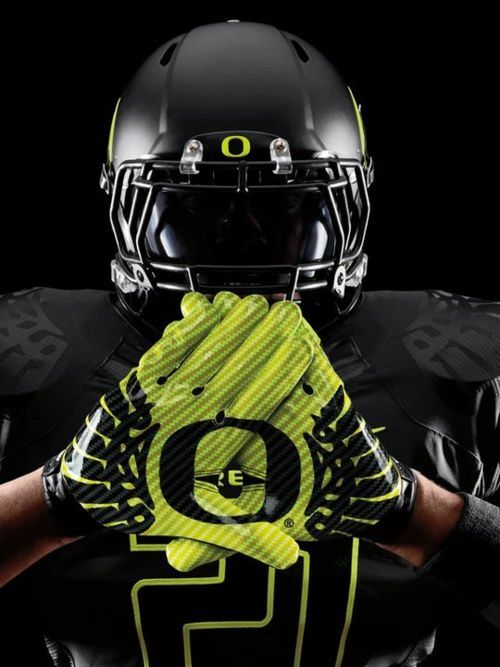 In fact, people well versed in marketing will tell you Oregon first had to attract eyes and attention to the program before they got good; attention brought the success. They will indicate, “They didn’t get people to watch because they got good. They got good because they got people to watch.”And to the casual observer, how did they do this? In a word, re-branding. This is how you create interest in a program without the tradition of a Michigan, Ohio State. In the current American culture is has been termed the “attention economy”. You have to create awareness of the product. You first do it with flashy uniforms, an exciting offense and marketing. All this seems to turn on the axiomatic “chicken or the egg” or which came first and does it matter? It does matter because it does not take into account the real reason for the rise of the Oregon football program. In the end, the marketing of the program played a role but it would not work for long without the maniacal attention to the essence of football and its fundamentals. Style will eventually wear itself thin without substance and the results on the field to back it up. To read the other article in this series–click here.